Fluid Mediums perform much in the way that their name implies, they are fluid in nature and reduce viscosity of heavier paints and gels, tend to self-level and do not retain brushstrokes. Fluid Mediums modify acrylic paints in a variety of ways and contain acrylic resins to maintain or enhance adhesion and durability. Use when maximum transparency is required to add luminosity and depth to your paintings. 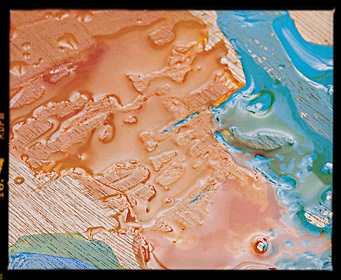 This fluid medium can be used to create brilliant glazes when mixed with transparent colour. Glazing medium dries quickly for rapid layering and tends to minimise or eliminate brush strokes. Mix with Slow-Dri Blending Medium or Slow-Dri Fluid Retarder to extend working the time. Excellent brushing and levelling qualities. Dries quickly for rapid layering. Mix with any amount of acrylic colour. Small quantities of colour provide the most transparency. Works best with transparent or translucent colours. Apply to dry, painted areas to change colouration without losing established detail. Under layer must be thoroughly dry before applying the next coat. May be dried with a hair dryer to speed drying. Mix in a small amount of colour with the medium. Mix thoroughly and colour will lighten. Colour will darken and go back to a thin, transparent version of the original colour as the medium dries and becomes transparent. The workhorse of the Liquitex mediums range. 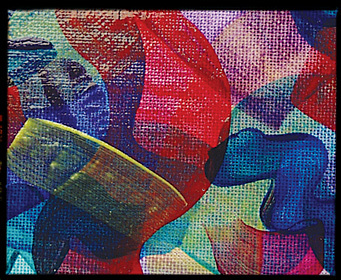 Liquitex Gloss Medium & Varnish is an all-purpose medium that performs two functions. It can be used as a varnish and/or a fluid gloss medium. It improves adhesion of paint film and increases colour depth, intensity and gloss. It can also be used as a non-removable varnish to protect the surface and establish an even gloss sheen. All purpose medium, formulated to be mixed into all Liquitex acrylic paints and mediums. Use as a non-removable varnish to protect painting and establish gloss sheen surface. Translucent when wet, transparent (clear) when dry. Resists discolouring (non-yellowing, non-fogging) due to humidity, heat and ultraviolet light. Will not crack as surface expands and contracts during temperature and humidity changes. Applicable for any surface (flexible and inflexible) suitable for acrylic paint and mediums, such as canvas, paper, wood, Plexiglas, etc. Acrylic Sheets, Airbrushing, Brushwork, Collage, Glazing, Murals and Transferring Printed Images. For best varnishing use Liquitex Gloss Varnish for flexible surfaces. Mix with Soft Body Concentrated Artist Colour to extend volume and increase transparency, while maintaining paint viscosity. Mix with Heavy Body Artist Colour to extend volume and increase transparency, while decreasing paint viscosity. 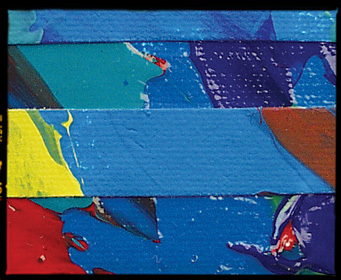 Liquitex Gloss Varnish for flexible surfaces is recommended as the best varnish for acrylic paintings. Apply Gloss Medium and Varnish as a final permanent varnish over dry acrylic paint. Acrylic paintings must be completely dried and cured for: 48-72 hours before varnishing. Dilute Gloss Medium and Varnish up to 20% for better brushing and leveling. Caution: Acrylic paints and mediums become increasingly brittle in cold weather. Do not apply below 60 degrees. Use as a fixative over artwork (acrylic paint, pastel, graphite, chalk) to increase gloss or shine. Mix 1 part Gloss Medium & Varnish to 1 part distilled water. Apply with atomizer or airbrush. Powdered pigments or aggregates may be mixed into Gloss Medium & Varnish, however they must be compatible with acrylics. Collage material may be glued using Gloss Medium & Varnish as a liquid glue. Use as transparent ground for acrylic paint instead of gesso. Allows substrate to be seen. To prevent Substrate Induced Discolouration, wash cotton or linen canvas before use. Use as a binder with powdered pigments to make an inexpensive student grade Soft Body gloss paint. Use a wide, soft hair brush or paint pad (vacuum pad prior to use to remove lint). Size of area to be varnished will determine the size of the applicator. The smaller the surface area, the narrower the brush. Generally, a 1-4" flat brush is used. Apply varnish in 1-3 thin coats, rather than 1 thick coat. A thick coat will take longer to dry, may dry cloudy, may drip or sag during application and has a greater chance of showing brush strokes when dry. Horizontal surface application is best with less chance of varnish running. After varnishing, the surface should be shielded with a protective "tent". This will prevent any dust or airborne particles from settling into varnish as it dries. Apply varnish in slightly overlapping pattern that covers entire artwork. Apply in horizontal and vertical brush strokes, so that entire area is evenly coated. Do not rework areas you might miss, as the brush could pick up partially dried varnish and cause clouding. If areas are missed, wait until the varnish is dry and apply another coat. When applying Liquitex Permanent Matte Varnish or Satin Permanent Varnish, apply no more than 1-2 thin coats. A thick application may result in cloudiness when dry. If more than 2 coats are desired, first varnish with Gloss Medium & Varnish until desired thickness is achieved, then final varnish with matte or satin varnish. Refer to Techniques and search on "Airbrushing" for more detailed information. Use for textured surfaces (thick impasto, thick textures), where brush application may result in foaming and fragile surfaces (watercolour, tempera, graphite, pastel, gouache), where brush application may disrupt drawing or painted surface. Select air pressure (PSI) depending on air gun used and viscosity of varnish. Greater PSI permits thicker varnish to be sprayed, but may affect fragile surfaces. 2-3 light even coats are better than 1 thick coat. Spray a continuous film by moving the spray gun in a smooth motion from one side of the painting to the other. First coat horizontal, second coat, third coat horizontal, etc. During spray application, maintain same distance across the surface of the artwork. Move your body as well as your arm to avoid "arching" motion and uneven application. Thinning increases penetration and can make it easier to apply varnish. Over thinning may result in weak varnish film, poor adhesion, running and soaking into substrate. You may thin Gloss Medium & Varnish with water up to 25% for better flow, leveling and for spray applications. Thin with small amount of Flow-Aid/water to reduce brush marks or spray apply. Not removable. Do not attempt to remove these varnishes with harsh solvents. A classic medium used to give fluidity to delicate brushwork or to act as a low sheen adhesive for collage. This medium has a creamy consistency and is great with opaque colours. Mix with Gloss Medium & Varnish to create a customised satin effect. Mix into any acrylic paint to increase transparency and extend colour, increase matte sheen, increase film integrity, ease flow of paint and add flexibility and adhesion of paint film. Mix with Gloss Medium & Varnish to produce a semi-gloss or satin medium. Opaque when wet, translucent when dry. Mix with Soft Body Concentrated Artist Colour to extend volume and increase translucency, while maintaining viscosity. Mix with Heavy Body Artist Colour or Basics Acrylic Colour to extend volume and increase translucency, while decreasing paint viscosity. Use as a matte fixative over artwork (pastel, graphite, chalk) to decrease gloss or shine. Mix 1 part Matte Medium to 1 part distilled water and apply with atomizer or airbrush. Excess medium applied to the surface may cause fogging. Recommended fluid medium to use as a transparent ground (size), with excellent tooth and adhesion, instead of gesso. This will allow the colour and texture of the support to show through. Can be used as a substitute for the rabbit skin and hide glue size traditionally used for oil paintings. For best results use Liquitex Clear Gesso which has more tooth for paint and pastels. Exterior Murals: If the support or wall is somewhat smooth, a coat of Matte Medium should be brushed or two coats sprayed onto the surface onto the surface prior to gessoing. An essential medium for creating softer edges and modeled forms. This medium is used to extend the 'open' time of acrylics by more than 40%, giving you an opportunity to really work the paint to enhance colour blending. You can add up to 50% of this medium, as it contains binder to retain the integrity of the paint film, unlike the additives version. 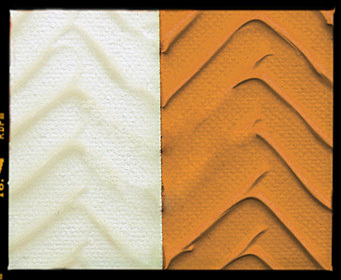 A unique formulation for superior surface blending with acrylics. Extends drying time up to 40% for superior surface blending with acrylics. Adds flow to Heavy Body Professional Artist Colour and is similar in body to Soft Body Professional Artist Colour. Mix any amount into colour to enhance the depth of colour intensity, increase transparency, gloss, ease flow of paint, and add flexibility and adhesion to paint film. Dries clear to reveal full, rich colour. Unlike retarding additives, any quantity may be added to colour without jeopardizing the strength of the paint film. Formula is designed to be used in techniques where slower drying characteristics are desired. 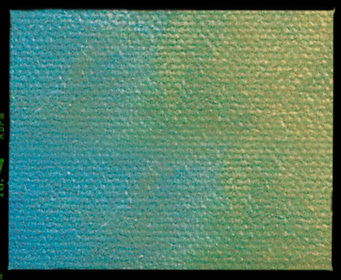 May also be used in many of the conventional techniques for a Gloss Medium such as: airbrushing, brushwork, glazing, collage, and Murals. Mix with Soft Body Concentrated Artist Colour to lengthen drying time, extend volume, and increase transparency while maintaining paint viscosity and flow. Mix with Heavy Body Artist Professional Artists Colour to slow drying time, extend volume, and increase transparency while thinning the paint. Use as a fixative over artwork (acrylic paint, pastels, graphite, chalk) to increase gloss or shine. Increased drying time allows for working the media on the surface prior to final fixing. Use an atomizer or airbrush filled with a mixture of one part medium, one part water. Economically doubles the volume of Soft Body Artist Colour by adding up to an equal amount (50%) of medium to colour with little or no noticeable loss in opacity or change in hue. Opacity of colours mixed with Ultra Matte Medium will be higher than if the colour had been thinned to the same degree with any other medium except Modeling Paste. When over 50% is added, Ultra Matte Medium can act as a weak tinting white, increasing the value of the original colour approximately one level. Light colours will be affected less than dark colours. Colours mixed with Ultra Matte Medium dry to a matte finish. Mix with opaque Soft Body Artist Colour for a matte sheen and gouache (opaque watercolour) look. These "gouache" colours are water resistant, flexible, lightfast and permanent when dry. Traditional gouache colours are not permanent and are susceptible to accidental re-wetting and must be well protected when finished. Mix into Soft Body Artist Colour for underpainting of murals to economically double the volume of paint. For top layers, use Lightfastness I colours without Ultra Matte Medium. Use when running out of a Soft Body Concentrated Artist Colour mixture while painting. When you have reached the halfway point of painting a specific area, determine if you have enough paint to finish. If not, add an equal amount of Ultra Matte Medium to the colour enabling you to finish painting without remixing. The colour and opacity will be unchanged, but the colour may lighten (higher value). Mix into Soft Body Artist Colour during initial underpainting to double amount of colour. High pigment load and soft formula gives Soft Body Artist Colour three times the coverage of Heavy Body Artist Colour. An innovative fluid acrylic resin designed to slow the drying of colours. Spray onto your palette or directly onto the surface of a painting. This medium improves colour blending and can be used to thin colour while maintaining film integrity. Use repeatedly to prevent paint from 'skinning over'. Can be used to thin colour while maintaining film integrity. Formulated with an anti-microbial agent to prevent mould.